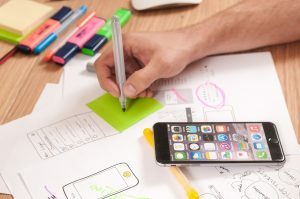 Home › Lifestyle › Is Your Website Right for Mobile-First Design? If your Google (or other) analytics show that most of your website visits come through mobile devices (usually smartphones), you may be wondering if it’s time to consider a mobile-first strategy. Mobile-first design is gaining in popularity because mobile search has now surpassed desktop search. Younger consumers are far more likely to only use mobile devices; many don’t feel the need to buy (or upgrade) their old laptops. And according to a June Pew study, just over half of all US adults have made a purchase via smartphone. It certainly looks like mobile-first follows the way many consumers browse and buy. Is Your Target Audience Ready for Your Mobile-First Strategy? Still, you may want to take a close look at your target audience and loyal customers to see how, and how consistently, they use mobile devices when they visit your site. This is a very important decision to make before you embrace the mobile-first approach. Would a mobile-first site design serve your customers better? I say this because I was quite surprised recently to discover that an e-commerce client of mine still gets most of his website visits via desktops. His business is largely paper-free—including his marketing materials—and is doing quite well with its desktop-driven B2B e-commerce site. His customers simply aren’t using mobile that often. They understand his website is his shop and he won’t be sending them cardboard stands to put in their stores or flyers. They seem to like the emails he’s sending them, judging from the open rate (phew!). And looking at their MailChimp stats, they’re opening those emails the way they visit his website: on their laptops and who knows, maybe their desktops. I was all set to tell him about mobile-first design but after looking at his analytics, I put this aside. It’s easy to be persuaded that mobile-first is the way to go. Everywhere I look, articles abound about why it’s the smart way to conduct an online business. Heck, I do most of my non-business reading via mobile (usually my tablet) so it made sense to me. Plus, online spending is expected to easily break the $100 billion mark this holiday season: $107.4 billion, Adobe Analytics exulted in November. It’s going to be a record-breaking online shopping season and mobile is leading the way! Two-thirds of holiday online purchasing will be done on desktop in 2017. Except it really isn’t. Further down the Adobe press release, it notes that two-thirds of online purchasing will be done on desktop, which also includes laptops that are aging along with student debt in many US households. So before you embrace the mobile-first outlook, take a good long look at how the deal is sealed: is it on mobile or on a desktop/laptop? In other words, be certain that your target audience is ready for this switch. I can’t stress this enough: if your website and especially your e-commerce website isn’t easy to navigate or read on a smartphone, you’re probably turning off some potential customers. But don’t confuse mobile-friendly with mobile-first. All websites should be mobile-friendly, period. Google Analytics shows what mobile devices are used to reach websites. Google Analytics will break down the devices used to reach your website—iPads, Samsung tablets, Motorola, etc. 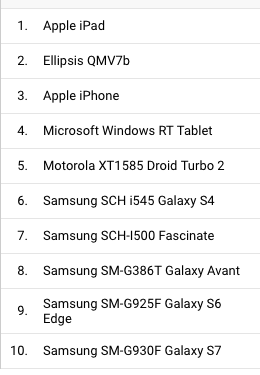 At left is a list of mobile devices that linked to my client’s site over the past 30 days (I had to look up Ellipsis, which I now remember are Verizon tablets). 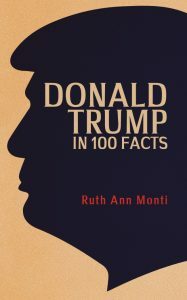 Only seven percent of his website visitors come via smartphones. Fourteen percent use tablets and 79% visit with a desktop. 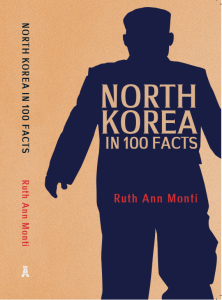 But his site is mobile-friendly and passes Google’s own mobile-friendly meter. These customers are mainly interior designers and hardware stores. I suspect those coming through desktops have great big monitors for Autocad and Illustrator. I looked at my own site’s mobile friendliness and was shocked to see it falls short here, at least according to the Google Smartbot. It was fine a few months ago, but now it’s listing problems with plugin stylesheets and scripts I’ve used for some time now and I’m careful to update. Smartbot says the content doesn’t fit on the page, but when I look at it on my smartphone and my friends’, it seems fine. I use WordPress, which requires themes to be mobile-friendly, and the smartphone preview doesn’t show viewing problems. Perhaps it’s Smartbot, and not smartphones, that’s having a problem. That said, my Google Analytics indicates absolutely no mobile visitors over the past seven days (it rises to 13% over 30 days). Clearly, I’m not a mobile target and since this is isn’t a sales site but one that’s pretty content-heavy, I don’t see this as critical. And if Google is telling the truth, my mobile-unfriendliness doesn’t penalize my site. What Sites are Best Suited for a Mobile-First Approach? Shopping via smartphone is setting records. Google ranks mobile search separate from desktop search to accommodate all the mobile users. So how can you decide if your site should take the mobile-first approach? If visitors are overwhelmingly coming and more importantly, buying your products or services through mobile devices, your site might be a good candidate for mobile-friendly design. Tell your designer what devices appear most often, and s/he should be able to add enhancements to better serve them. 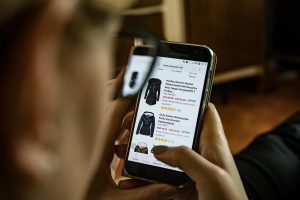 Obviously, e-commerce sites are ripe targets, provided you know the bulk of your visitors are coming to it via mobile—an incorrect assumption I had about my B2B e-commerce client. Mobile-first design responds to customers who primarily go online through a smartphone and to a lesser extent, a tablet. Sites that sell consumer goods are probably best-suited for this. Goods like clothing, jewelry, consumables, furniture, and home accessories all sell well with lots of images and video and don’t need a ton of content that can turn off mobile users. These customers generally know what they want to buy and have already done their research. And if they are Millennials, they’re already regularly making purchases through their smartphones. For me, the biggest concern is security. I rely on my smartphone when I’m not home. It’s crazily convenient if a bit slow. But I rarely use it to make purchases; I think I once bought movie tickets through a smartphone. That said, smartphone purchasing is exploding, but so are incidents of identity theft and fraud and I’m certain we’ll hear a lot more about this after the holiday shopping season is over. Experts warn that smartphones using public wifi are notoriously easy to hack. You have to set your smartphone to not pick up on local free wifi; default settings are to open up to whatever’s around. Home computers, however, are far more likely to have virus protection and private, password-protected Internet access and virus protection. Tablets are as well. Still, more people are making their purchases through their smartphones: CyberMonday 2017 set a new record for both online and smartphone purchasing. Unfortunately, e-commerce sites can’t detect if shoppers are connecting to them through secure or open wifi. And while smart e-commerce sites make sure top-notch security is in place, they can’t protect their customers’ smartphones. What they can do is offer tips on safe, secure shopping through social media, e-newsletters, and maybe a really brief blog. If your analytics show a lot of smartphone-driven buying, do your customers a favor and remind them about securing their smartphones. You certainly don’t want a purchase from your site to coincide with their smartphones being hacked!